Amber relaxation bath salt. 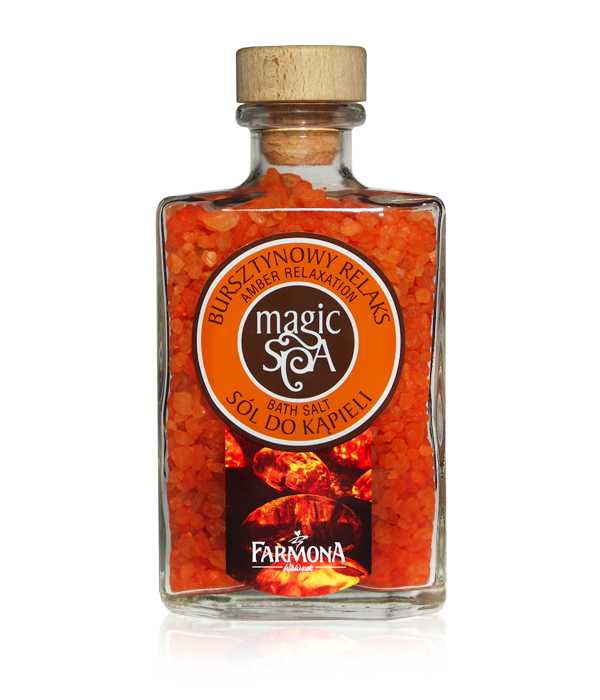 The amber extract contained in the product enables one to indulge in the feeling of bathing in real sea-water. As it contains microelements, the salt smoothens and firms the body, giving it a silky smoothness and softness. Natural amber extract and microelements. Sodium Chloride, Sodium Lauryl Sulfate, PEG-25 PABA, Silica, Alcohol Denat., Amber Extract, Parfum (Fragrance), Limonene, CI 19140, CI 16255.